Mysterious Onyx is adorned with a golden lion head in this handsome ring. Set in 10k Yellow Gold, this ring is bold and eye-catching. Our rings are proudly handcrafted in our California factory. Onyx is known for its energies in Protection and Healing. 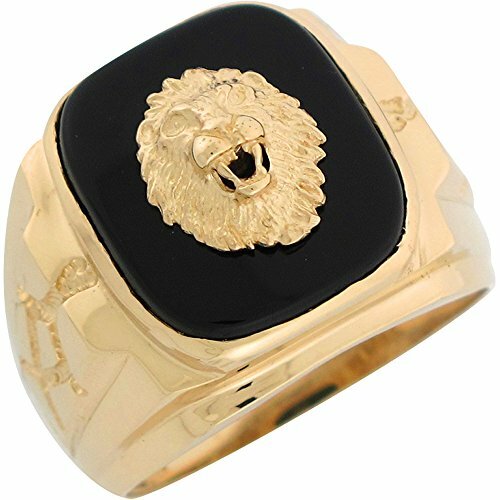 Mysterious Onyx is adorned with a golden lion head in this handsome ring. Set in 10k Yellow Gold, this ring is bold and eye-catching. Our rings are proudly handcrafted in our California factory. Onyx is known for its energies in Protection and Healing."